As a high school English teacher AND the mother of a child with special needs, this book was a hard pill for me to swallow. When I first read the summary of The Most Dangerous Place on Earth by Lindsey Lee Johnson, I believed that I would appreciate my ability to connect to the plot–the story of a group of high school students and their naive English teacher who believes she can truly make a difference in their lives, which are much more complicated and out-of-control than she ever imagined. Although there were elements of Johnson’s book that I appreciated, there were a lot of others that left me feeling very lukewarm, and at times, with a bad taste in my mouth. First, for the pros. I did like that Johnson’s characters were so eclectic, despite the fact that they were all from the same area and seemed to have similar socioeconomic backgrounds. In addition, I think that Johnson made a few powerful points about the power of social media. I also thought that Johnson did an excellent job of demonstrating the naive nature of Miss Nicoll and the mistakes she made as a new teacher. I cringed when I read some of the things she did and allowed her students to do because they reminded me so much of myself when I was a first-year English teacher. Johnson’s portrayal of a first-year teacher with big dreams of changing students’ lives by connecting with them on an emotional level was fairly accurate, even if there were other elements of the overall school atmosphere with which I didn’t necessarily agree. For example, I don’t know any teachers, first year or not, who would allow students to consistently use the type of language that was used in Miss Nicoll’s classroom, nor do I know any administrators who would walk into a classroom to see students spooning on a couch and not address that issue immediately. Although Miss Nicolls’s chapters added another side to the plot, by devoting only one chapter to each student with a chapter focused on Miss Nicoll in between, the book never felt complete to me. It felt like a choppy story that never had a defined plot. For example, without revealing any spoilers, some characters who received a great deal of attention in the beginning of the book were only mentioned once or twice later in the book, and I had a hard time understanding why so much focus was placed on them if they weren’t key figures in a unifying theme. If the book was presented as a series of connected short stories, that would make much more sense. My other issues with the book were born from my roles as a teacher and a mother. I did not necessarily agree with the change that took place in Molly Nicoll’s character by the end of the book or the way that her students were presented. Without spoiling the book, I can say that my own experience in my classroom has proven that making sure that students know you care about them as individuals is important, AS LONG AS a healthy balance is maintained and lines are not crossed. I don’t agree with the either/or thinking that I felt The Most Dangerous Place on Earth presented. I also don’t agree with the way the students were presented in the end, but I don’t feel as though I can expand on that without spoiling anything. Lastly, I despised the way Tristan Bloch was presented. I am well aware that, as the parent of a young child with autism, I am much more sensitive to how those with special needs are portrayed. I know that Johnson was trying to be brutally honest about how students such as Tristan would be treated by cruel thirteen-year-olds…but I think she went overboard. I think she could have accomplished the same goal in an even more powerful, yet more sensitive, manner by writing the opening chapter from Tristan’s perspective and saving Calista’s side of the story for the end. Maybe I’m being too sensitive, and if I am, I own that. Because having a son with special needs in a school system where other students will judge his differences is real life for me, and telling Tristan’s story from the perspective of his tormentors only reinforced the idea that those who are different don’t belong in “our” world. If Johnson had gone on to demonstrate a change in the kids as a result of what happened or focused a lot more attention on Tristan’s story, I might feel differently. Instead, the book just makes it seem as though Tristan ultimately only mattered to two people–Calista and his own mother. If Johnson filled the first chapter of the book with the idea that all the students viewed him as a worthless “freak,” then she needed to balance that out with more of an emphasis on why that view was wrong. 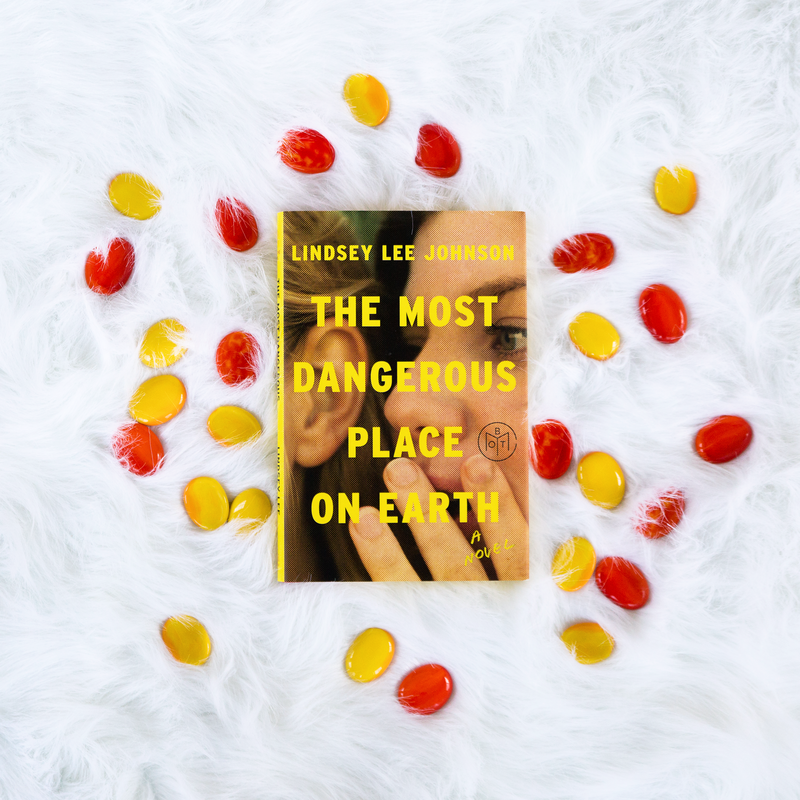 Posted in FictionTagged book review, Fiction, Lindsey Lee Johnson, The Most Dangerous Place on EarthBookmark the permalink.